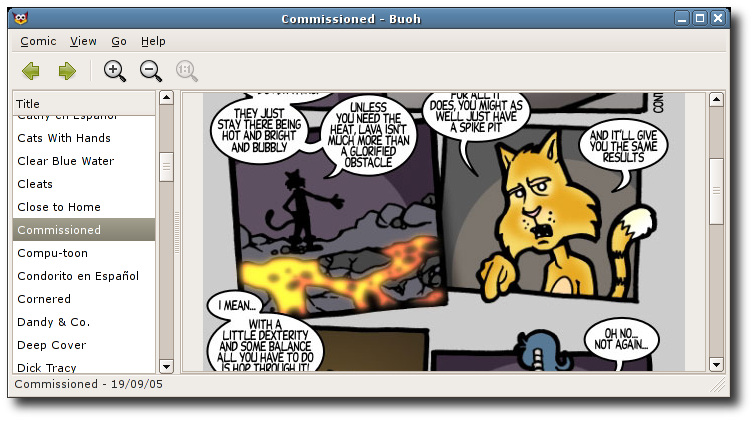 Buoh is a reader for online strips comics. It is free software, designed to work well under the GNOME Desktop. Valid XHTML and CSS 2.